Dear SysAid Lab members ! For those of you who want to make the most out of the SNMP network scanning - I would like to forward all of your attention to an open source command line tool for snmp queries you can use to learn a lot about your devices and then configure SysAid to extract and save that information. This net-snmp tool will allow you to be able to send simple queries to your SNMP devices and receive the values. You can also run a full SNMP walk command and get all the values from the device. Perform a default installation – next next…. If you find OID-s of interesting information for printers like page counter , toner level , or any other interesting information for network devices – please post them here ! Hey ! Nice to know !! Thanks! Thank you for this tool. Previously, I had to log on to a linux box to get this functionality. Now I can do this from my pc. If some body will give an idea for OID's I'll try to find them. Those 2 free tools can help you as well. or external, operable program or batch file. position you cursor to the folder that you install SNMP. note* in snmpwalk I use ver 2 of snmp protocol. Is this thread still alive? I have a few questions on information i am trying to gather. 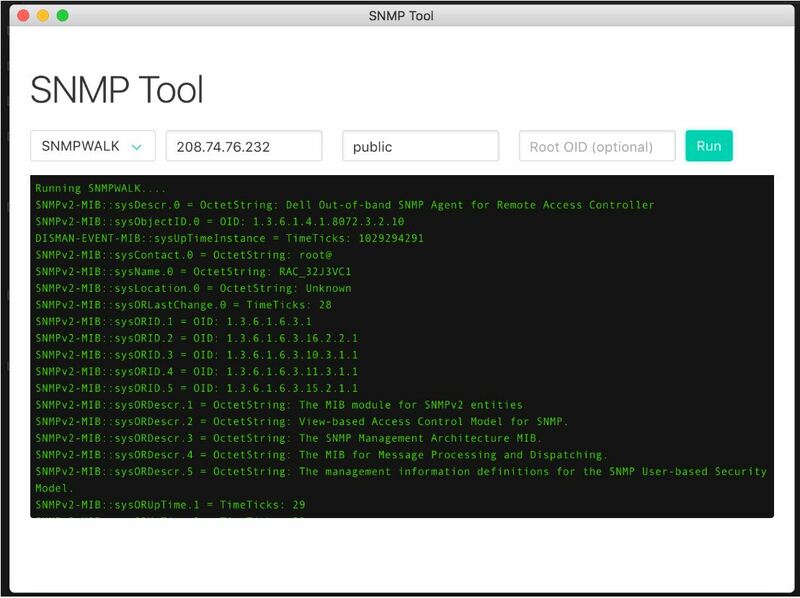 You can Watch a short video of the snmp tool in action. Would it be possible to add MIB file importing to the tool? I think that would be very helpful with interpreting the information that comes back.